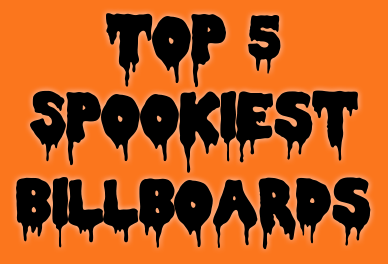 This week, the BillboardsIn blog took a look at five of the spookiest billboards. With just the title of the movie, the theater date and a single image of Michael Myers, the advertisement is eye-catching and creates excitement for the movie. Michael Myers is iconic and the Halloween franchise is a classic and the billboard reflects this. This billboard creates buzz for the movie as well as the Halloween season. This article was originally published by BillboardsIn. You can continue reading the rest of the countdown here.